This is my fourth time booking this hotel and I loved it more and more every time I book in it. I feel like I’m at home because there are so many facilities and appliances at the room that wouldn’t need me to order food or water from outside. There is a hyper market or a small mall near the hotel which is very convenient if you needed to buy something or hang out. The hotel is extremely clean and the cleaners are very polite and trustworthy. The hallways smells so nice and everywhere you look it’s very clean. The check in and check out was fast and easy. This hotel is very clean, I like how everywhere you look it’s so clean. Room was spacious for a studio and the location is great. It is very quite if you booked a room far away from the bar/nightclub. Air conditioning is good, could be better. Nonetheless I would definitely book at this hotel again, I recommend it. The location, the food and quick response and courtesy of the staff. All the staff were too friendly specially the new staff member from morocoo he actually made my day while I was checking in smile and very positive energy. It was really good vibes. .
We love the room and the staffs are veey accommodating and helpful. 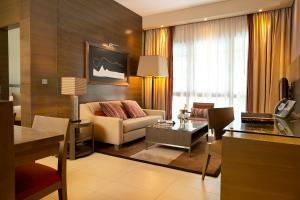 It was my first experience with Rotana and I was really impressed by the staff and the cleanest. Special thanks to Mr Mutaz for his understanding dedication and professionalism. 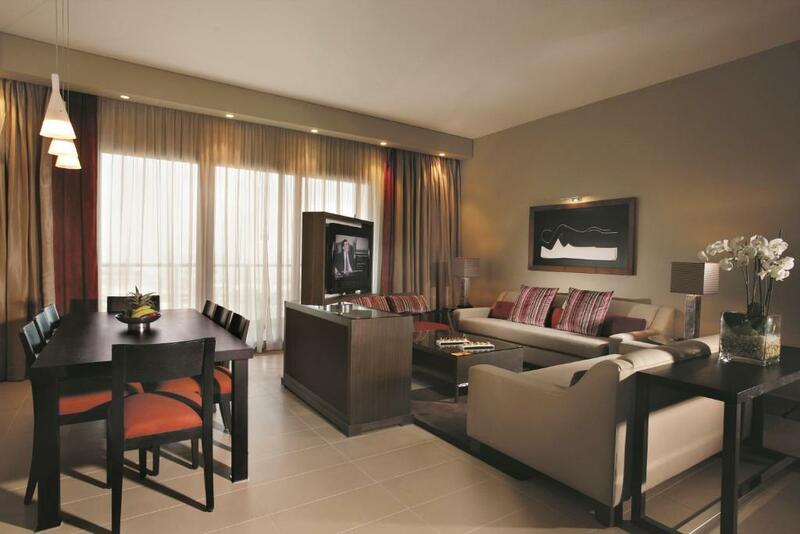 Lock in a great price for Park Arjaan by Rotana, Abu Dhabi – rated 8.2 by recent guests! 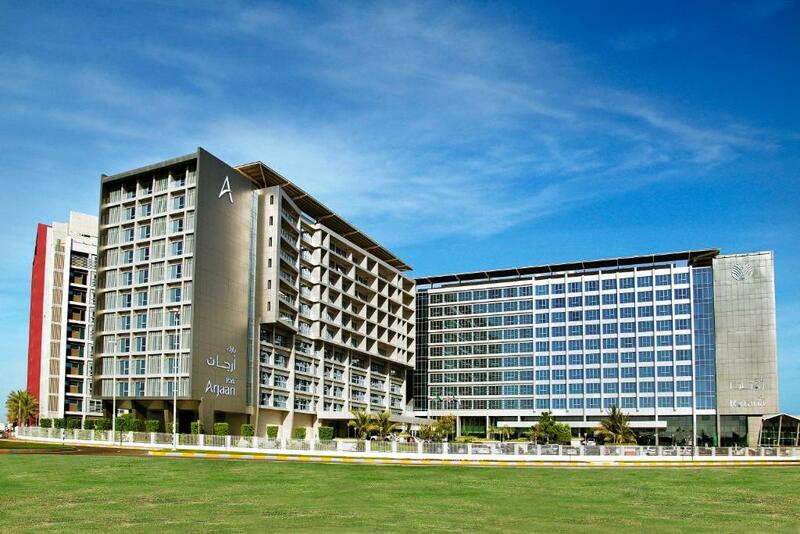 When would you like to stay at Park Arjaan by Rotana, Abu Dhabi? This spacious studio facing the Sheikh Zayed Bridge or our outdoor pool has an open-plan living and kitchen area. A microwave and small stove are in the kitchen, while the living room has a 40-inch flat-screen TV. A washing machine, dryer and tea & coffee maker are included. This spacious suite includes 1 double room with private bathroom offering a walk-in shower and a tub. It has an open-plan living and kitchen area. The bedroom comes with a 32-inch flat-screen TV, while a 40-inch flat-screen TV is in the living room. A washing machine, dryer and tea & coffee maker is also included. Spacious apartment with 2 bedrooms with private bathrooms offering a walk-in shower and a tub. It has an open-plan kitchen and living area. The kitchen has a stove, microwave and large fridge. 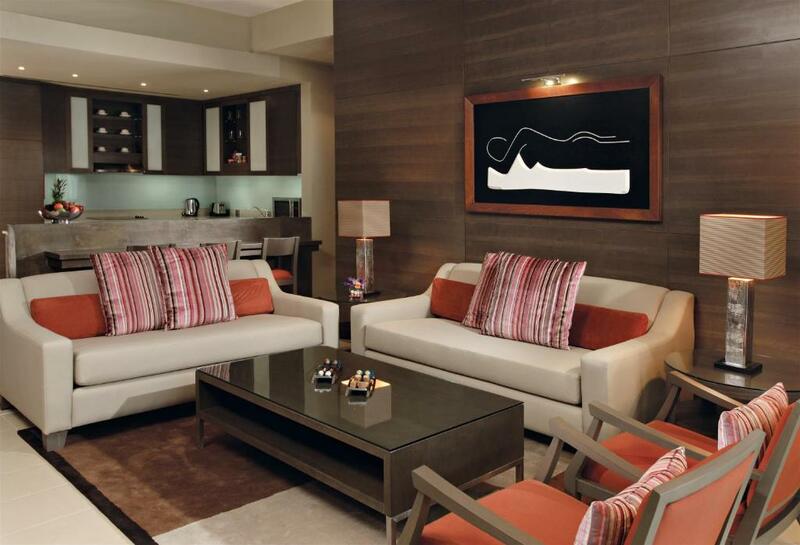 Each bedroom comes with a 32-inch flat-screen TV, while a 40-inch flat-screen is in the living room. A washing machine, dryer and tea & coffee maker are included. This suite includes 1 double room and 1 twin room. This spacious apartment has 3 bedrooms with a private bathroom including a large walk-in shower and bathtub. There is an open-plan kitchen and living area. The kitchen has a stove, microwave and large fridge. 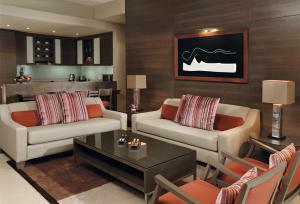 Each bedroom comes with a 32-inch flat-screen TV, while a 40-inch flat-screen is in the living room. A washing machine, dryer and tea & coffee maker are included. This apartment has 2 double rooms and 1 twin room. 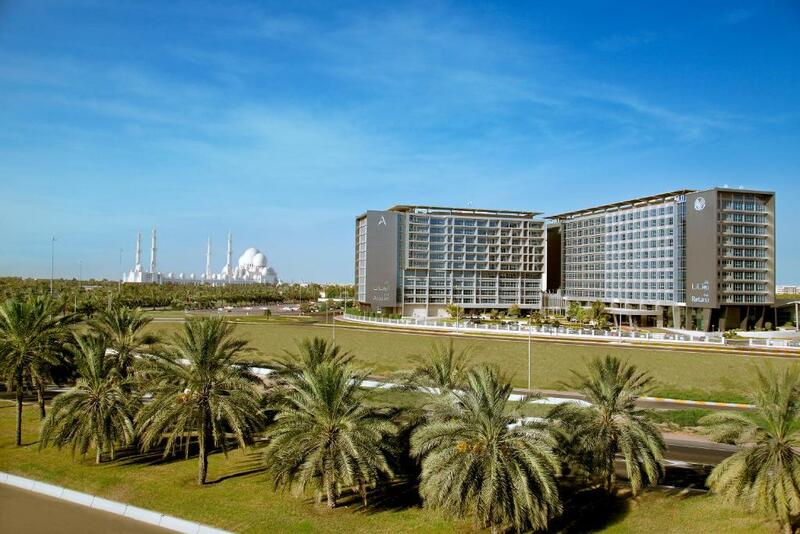 Adjacent to Khalifa Park and near TwoFour54 and the Embassies District, Park Arjaan by Rotana is part of the Park Rotana Complex offering furnished and fully equipped hotel apartments in Abu Dhabi. With elegant décor and spacious layouts, the 172 fully furnished and serviced hotel apartments include studios, one, two and three bedroom suites. Each features an LCD television, kitchen with a stove, fridge and other appliances. Sharing facilities with the 5 star Park Rotana Hotel, the property features five different dining venues serving a wide range on international cuisines and a great selection of beverages. Onsite leisure facilities at bodylines fitness and wellness club include an outdoor swimming pool, sheltered children’s pool, play area, floodlit tennis court, steam room and sauna. Yas Island, Abu Dhabi’s popular leisure hotspot can be reached with a 20 minutes’ drive while the Abu Dhabi International Airport is 30 minutes away. Complimentary Indoor parking is available for all guests. 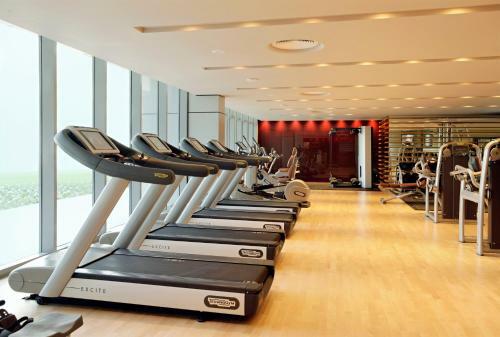 While staying at Park Arjaan by Rotana, our guests have a myriad of activities to experience. With regular hotel shuttle service to Yas Island - the UAE’s premier leisure and entertainment destination; guests can spend the day playing at Yas Waterworld or relaxing at Yas Beach, wander through 2.5 million sq. ft. of retail heaven at Yas Mall, visit the impressive Marina or the world’s fastest roller coaster at Ferrari World, and much more! In addition, the beautiful Sheikh Zayed Grand Mosque and iconic Corniche are not to be missed! Conveniently located in close proximity to the main business, government and banking districts, Park Arjaan is easily accessible and only 5 minutes’ drive from Abu Dhabi National Exhibition Centre, Sheikh Zayed Grand Mosque, Al Forsan International Sports Resort and Zayed Sports City. 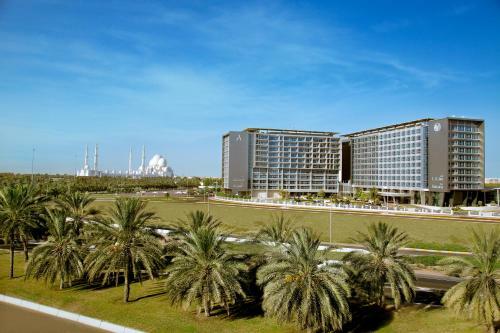 Directly next to Khalifa Park, the hotel is only 20 kms away from Yas Island and Abu Dhabi International Airport. 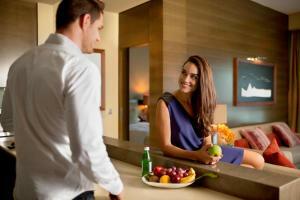 House Rules Park Arjaan by Rotana, Abu Dhabi takes special requests – add in the next step! Park Arjaan by Rotana, Abu Dhabi accepts these cards and reserves the right to temporarily hold an amount prior to arrival. I would like to see more restaurants. Clean rooms, friendly staff and good service. Wifi is a bit slow. food at teatro resturant very poor and expensive. I like everything in this hotel. Specially i would like to underline very good quality breakfast and dinner and room keeping lady Natasha's service. I'll say the location is great for people who want to rest, relax and just stay away from the buzzing noise of the city. Toiletries, bathrobe and slippers were provided for one person while it's a double room. Check out took longer than usual yet with sweet apology. Over priced. Room in pic was with bath yet in reality no bath. Room cleaner girl Natasha was very hardworking and polite.